Here lies a big home and income opportunity. 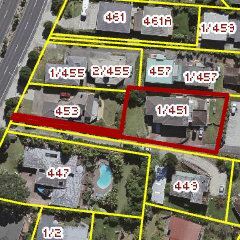 This 962m2 section has potential for a great 6+ bedroom home. The home could have an awesome outlook from the Sky Tower to the northern end of Rangitoto Island. Located just a short stroll from the shopping and leisure centre, and with school being easily accessible too. A great chance to invest and maybe add to your portfolio. This is set back from the road so please ring to arrange a viewing or discuss further details.